Guys. Guys. I’ve finally gotten it together. I’ve had the goal of creating and making content available for you… something that you can use to help you organize your after life. And I’ve finally gotten around to posting the first piece of content. 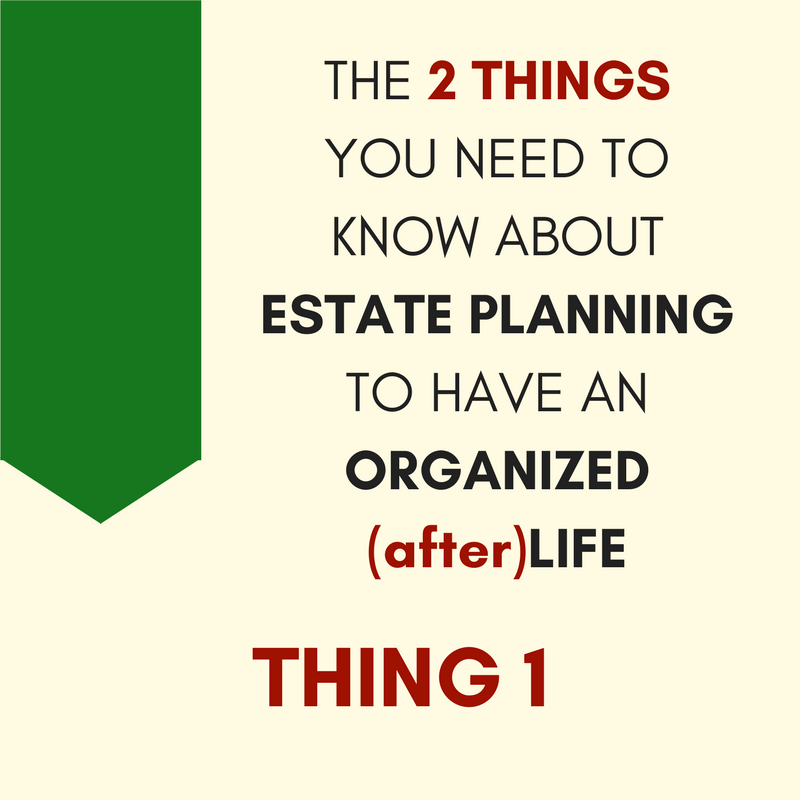 I’ve written about the two types of assets… Thing 1/non-probate/automatic and Thing 2/probate/stuck assets. 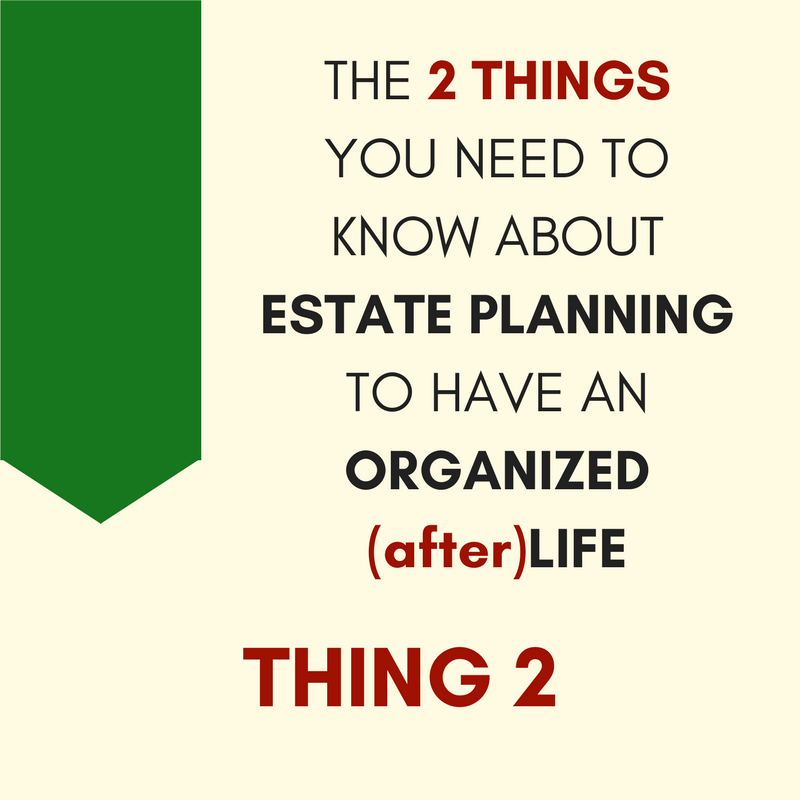 I’ve also talked about understanding Thing 1 and Thing 2 are the two things you need to know to have an organized after life. Understanding that each of your assets will move one of these two ways is fundamental in beginning to organize your afterlife. This is so important, I’ve made a sheet that I hand out like candy. To new clients. To prospective clients. To audience members at speaking engagements… and now to you. 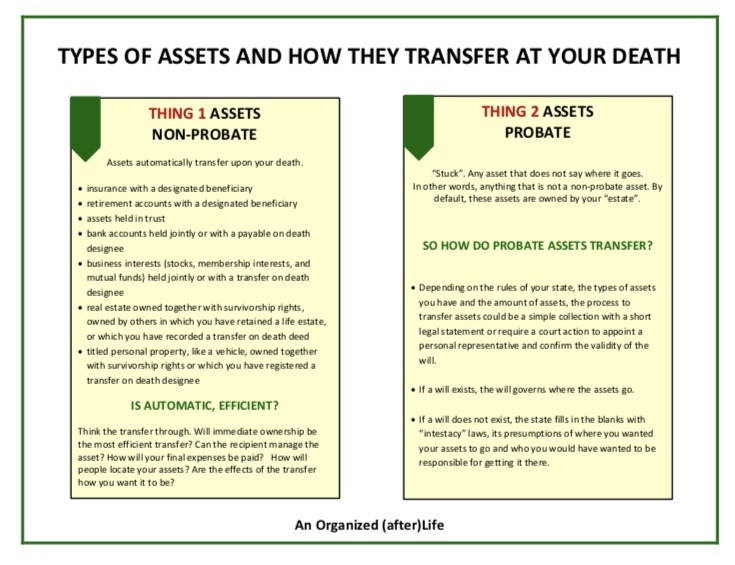 This sheet lists the types of ways you can own an asset that makes it a non-probate asset. Things like owning a life insurance policy, but listing your spouse as a beneficiary. Or owning real estate together with someone as a joint tenant. Or putting the asset into a trust. Don’t run out to just make everything a Thing 1 asset. Last week, I talked about how that automatic transfers can work very efficiently for some people, but in some situations, an automatic transfer can fall of the rails. This is where working with an attorney is worth it. Not only will they make documents tailored to what you need, they can run through various scenarios and help you think through the most efficient transfer of your assets for your situation. You don’t know what’s the most efficient without speaking with someone who can look at your assets, your family members and your state’s law, to understand the most efficient procedure for your loved ones to deal with. Now. If things are stuck… how do they transfer? It depends on the type and amount of those Thing 2 assets… and the rules of your state. In some cases, moving the “estate” will take a court process or short legal document. But. This sheet gives you.. or your loved one… or your client… the basic of understanding the system, the rules, the game…. so that when you meet with a death lawyer, you understand their game plan and are more effective in implementing it. Because that’s how you can begin to have an organized after life. Download your sheet by clicking the link under the graphic or go to the content page by clicking the content tab.